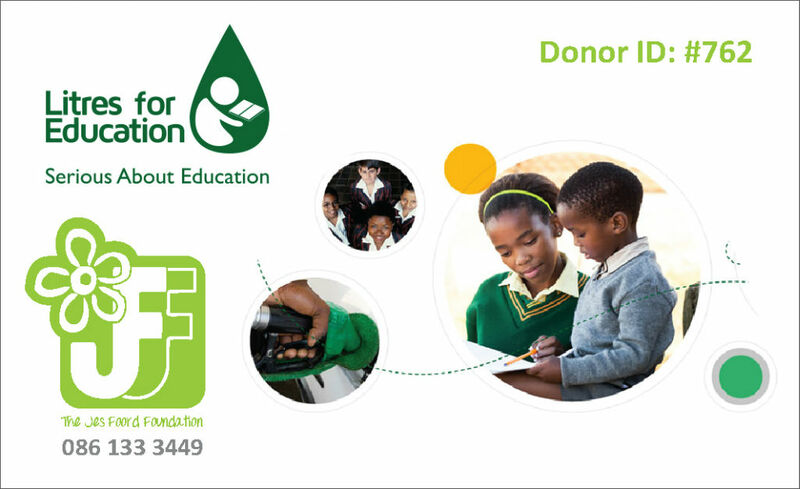 The Jes Foord Foundation has signed up with Litres for Education and when you fill up at one of the nominated petrol stations, they donate 10cents per litre for the fuel purchased. All you have to do is give the petrol attendant our code 762. 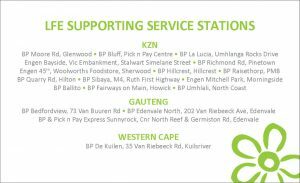 Below is a list of the participating service stations. You are welcome to print the disk with our code and keep it together with your garage card to remind you to give in our code when you fillup, every cent counts.